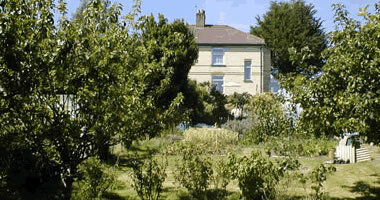 My name is Simon Dolley, I live in Newton Abbot, Devon (that's my house in the picture above) and this is my website. My website has my (dolley, tozer, scoble, crispin, etc) family history from Devon and Cornwall. A little bit about me and my family. Some photos from recent holidays and events plus some links to good websites. Most people will be using this website for devon family history and family trees for the following families. If you'd like to view the online database click on this link and enter the username "dolleytree" and password "dolleytree", if you find you're related to me and would like to add your own branch to my family tree please email web@dolley.co.uk for details. My parents, Edward Lionel Dolley and Jessie Elizabeth Tozer. My brother (Peter William Dolley), 3 sisters (Pamela Elizabeth Bennett, Christine Mary Knapman, Nikki Good) and their families. Lots of info on Devon Family History, Dolley, Tozer, Crispin, Scoble family trees and much, much more. Includes some photos you might find interesting including my recent holiday to Ecuador. You can find out a bit more about me, my love for Torquay United, my wine making and pulse8.